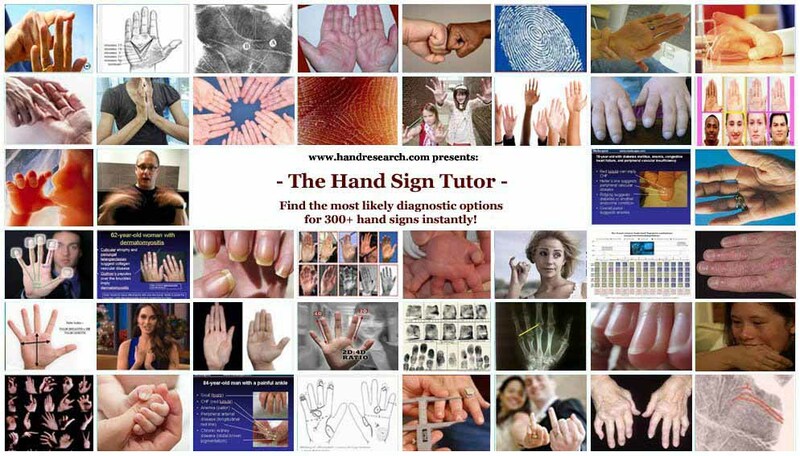 Hand Sign Tutor: 50+ dermatoglyphic signs! Diagnostic significance of 50+ dermatoglyphic hand signs! are available in the fingerprints & dermatoglyhics news section!